The Legion of Honor San Francisco: Tips and Photos. 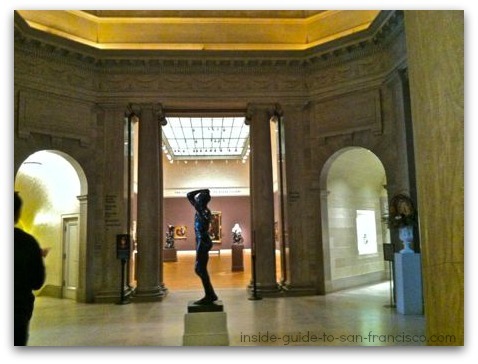 In the northwest corner of San Francisco is one of the most beautiful museums in the city: The California Palace of the Legion of Honor, a museum of fine arts. The setting is gorgeous, as well... woodsy views of the Golden Gate and San Francisco Bay. This stately building was a gift to the city from the Spreckels family in 1924, to honor the Californians who died in World War 1. It was built as a replica of the Legion d'Honneur in Paris. Spacious galleries open off the domed rotunda. 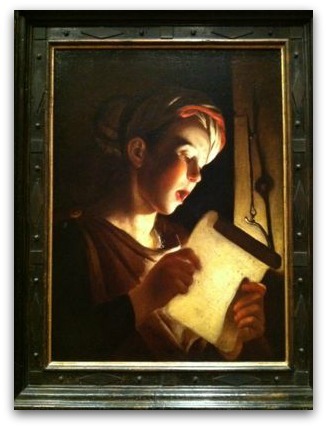 The Legion of Honor in San Francisco puts on lots of special shows, some with works visiting from other museums, and some put together from their own collections. 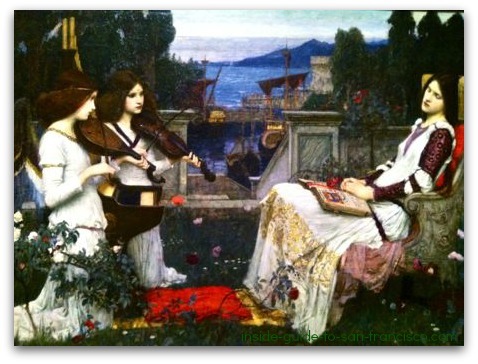 They often have lectures and musical performances (free with entry) associated with their special exhibitions as well. 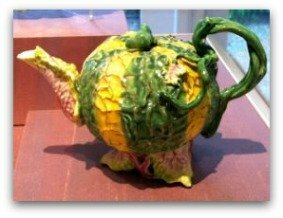 Check their website for the current exhibitions. The Legion of Honor San Francisco museum houses a vast collection of European painting, sculpture and ceramics from the 16th century to the early 20th century, as well as artifacts from ancient Egypt, Assyria, Mesopotamia, Greece and Rome. Works by many of the Big Names of European art are here in plenty: Renoir, Monet, Picasso, van Dyck, Rembrandt, Hals, Rubens, van Gogh, Cezanne, Gainsborough, El Greco and more. 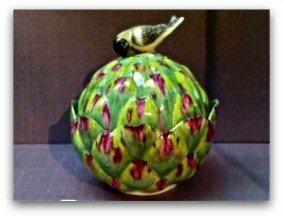 Decorative art also: Faberge, Tiffany, Lalique, and artists serving the European royalty of the 17th and 18th centuries. 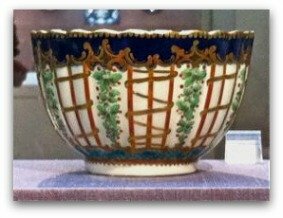 And downstairs is a collection of porcelain dishes and figurines from the well-known ceramic factories of Europe: Meissen, Sevres, Worcester, and others. The Legion of Honor also houses a huge collection of graphic art (90,000 items, the largest collection in the Western US) and a large photography collection which includes many early photographs of San Francisco and California. 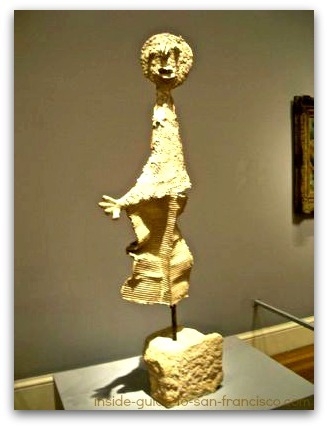 Different selections of the museum's collections are displayed at different times, so the art on exhibit varies all the time. 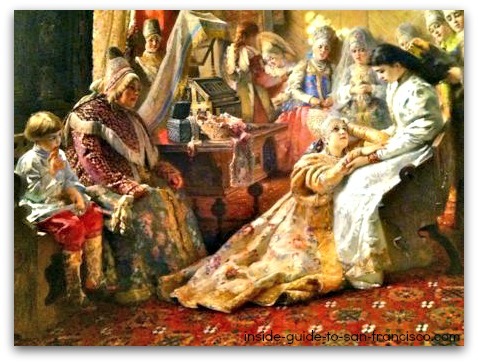 There are rooms and rooms of beautiful paintings by European artists covering several centuries: the Renaissance, Baroque, Rococo, Neo-classical, Impressionist, and Post-impressionist styles are all well-represented here. 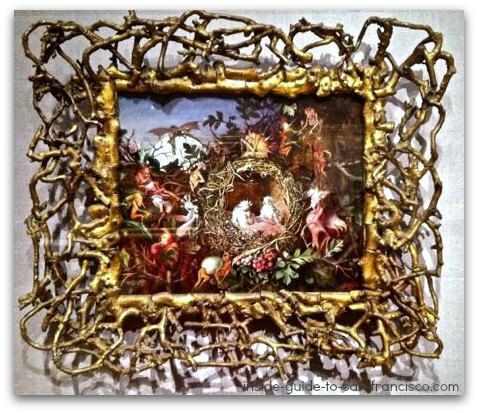 An unusual painting, in a fitting frame: Fairies in a Bird's Nest, by John Anster Fitzgerald, 1860. 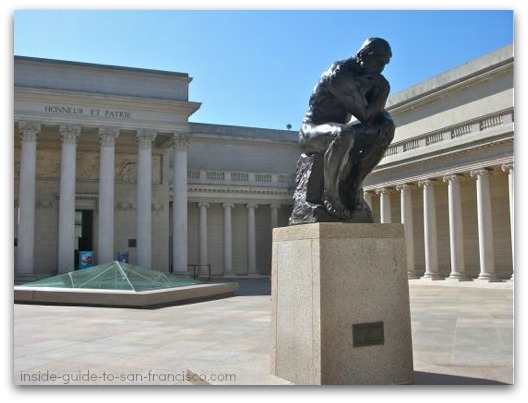 The Legion of Honor has a large collection of Rodin sculptures, including "The Kiss" and "The Three Shadows", and of course, "The Thinker". 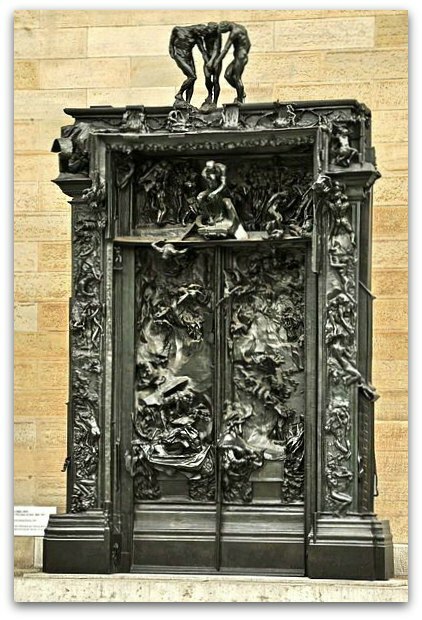 All three of these works are independent casts of figures originally contained in the The Gates of Hell, a massive, 20 foot sculpture located in the Orsay Museum in Paris, with casts in a number of other locations, including Stanford University. The work illustrates scenes from Dante's Inferno. 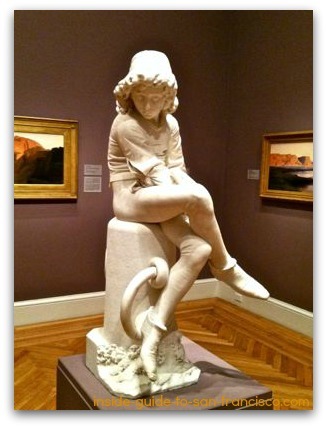 Originally, "The Thinker" may have represented Dante, pondering the fate of humanity in his Divine Comedy (some believe it's meant to be Rodin, or Adam). The Legion of Honor's sculpture collection covers a wide range, from ancient Greece and Rome, up to the early 20th century. The Ancient World is also on display: Egyptian sarcophagi and scarabs, Persian carvings, Assyrian artifacts, Greek and Roman statuary, and more. 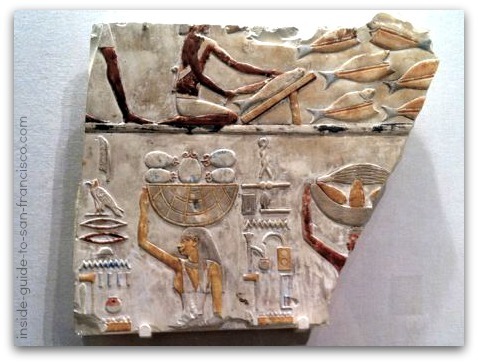 Egyptian Tomb Relief, 660 B.C. 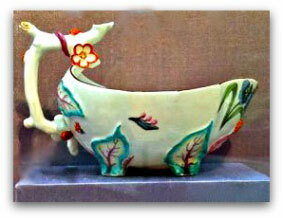 Delightful assortment of cup, plates, fanciful teapots and Commedia dell'Arte figurines. 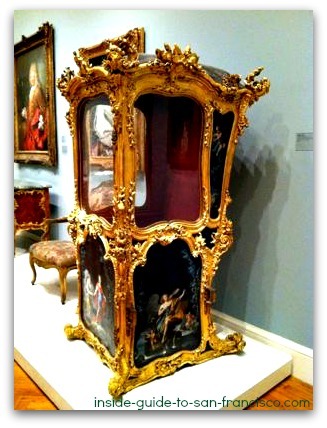 Loads of finely crafted French furnishings, mostly from the 17th and 18th centuries, including some pieces belonging to Marie Antoinette. 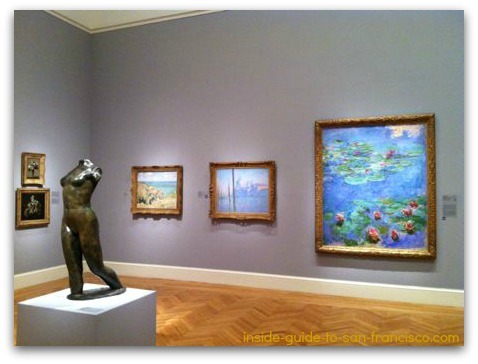 There are a number of free docent's tours every day at the Legion of Honor, including Highlights of the European Collection and Three Masterpieces in Thirty Minutes. See docent tours for their current schedule. 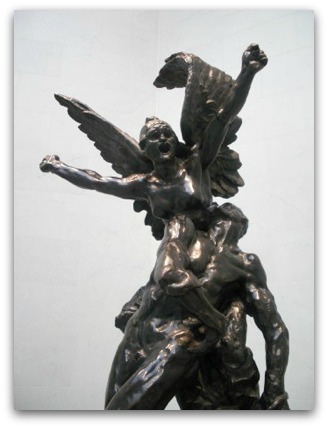 Free organ concerts on Saturday and Sundays at 4:00 p.m. in The Rodin Gallery. The organ is a 1924 Skinner organ, and 4500 pipes are hidden behind the canvas ceiling that is painted to look like marble. More pipes are concealed in other areas of the museum. The organ is designed to imitate the sounds of the various instruments of an orchestra, including percussion. There's another Skinner organ at the National Cathedral in Washington D. C.
Occasional full scale classical music concerts are given at the museum. I went to one by the Philharmonia Baroque there... beautiful music, beautiful setting and easy parking! Check with the Legion of Honor website legionofhonor.famsf.org for the current calendar of events. 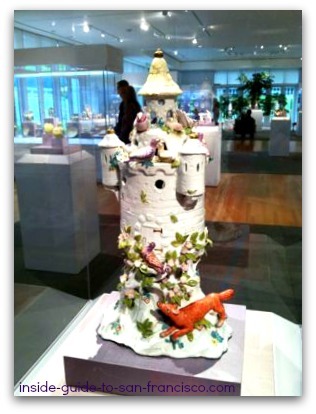 The entry fee is for general admission; special exhibitions often have an additional fee, unless you are a member. Free first Tuesday of every month. Muni ticket: show your Fast Pass, BART ticket, or a Muni transfer and get $2 off the entry fee. Book through City Sightseeing to save $2. 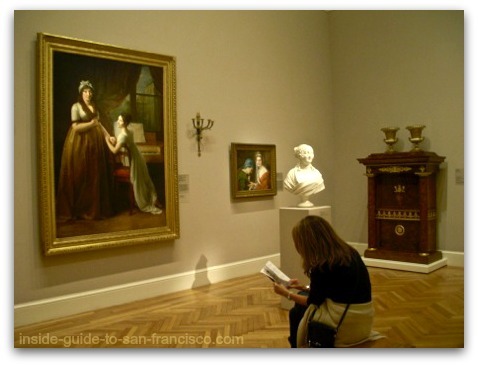 Become a member of the fine Arts Museums of San Francisco. Free admission for you and a friend, or get a family membership. Individual memberships start at $119 per year. 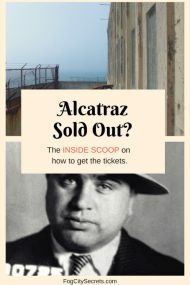 Also, with a ticket to the Legion of Honor San Francisco, you can also get free admission to the de Young museum for the same day. And vice-versa. There is a cafe on the lower level as well as a museum store with all sorts of attractive art-related things to spend money on. 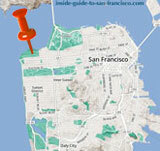 The Legion of Honor art museum is located at the edge of the wild and beautiful Lands End area in the northwest corner of the city. The 18-46th Avenue bus stops right in front of the museum, the best choice. 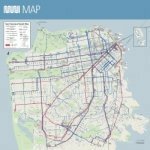 Two other buses (1-California and 38-Geary) come within a block or two of the entrance to the park at 34th Ave and Clement St. From those stops, you can walk to the museum (about 20 minutes) or transfer to the 18 bus which gets you right to the front door. 34th Avenue in the Richmond District heads into Lincoln Park at Clement Street, and winds through the park to the museum. Parking Heaven! 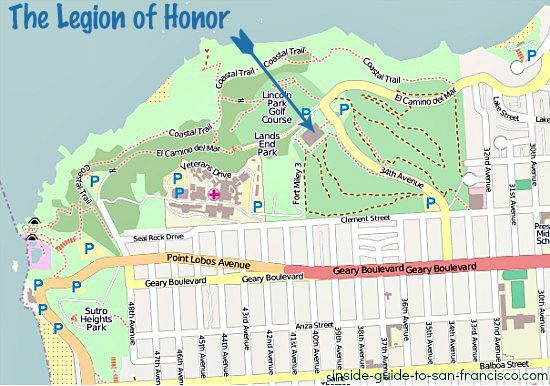 The Legion of Honor is one of the few attractions in San Francisco that has plenty of free, convenient parking in their own parking lot. The only time the lot tends to fill up is at the beginning or end of a popular special exhibition. 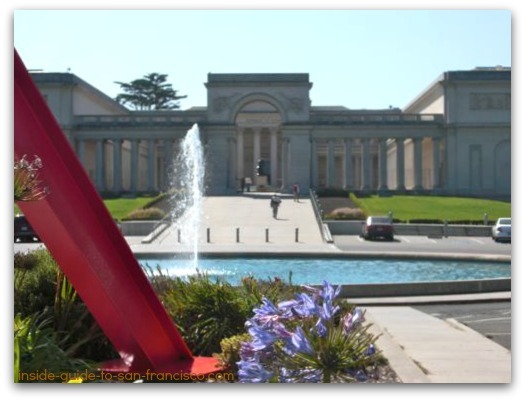 You can get out to the Legion of Honor museum on a hop on hop off bus tour now. City Sightseeing added a Parks and Beaches loop that takes people out to the western side of the city, with access to Lands End, the Cliff House and Ocean Beach. That loop is included in their 2-day and 3-day bus passes. 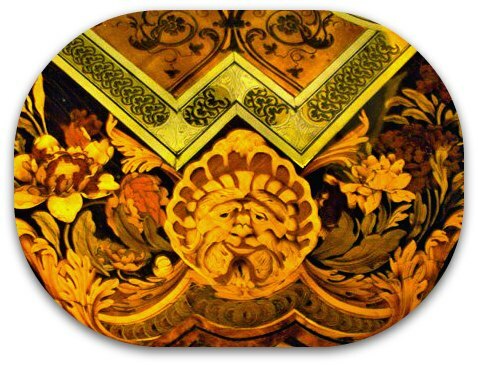 One of the stops is at the Legion of Honor; see Hop On Hop Off tours for more info and booking. The de Young Museum is the other San Francisco fine arts museum. Modern art, fabric art, plus the art of Africa, Oceania, and Mesoamerica. Lands End is the beautiful setting for the Legion of Honor Museum. Walk the trails with gorgeous views of the Golden Gate.